On September 18, 2018, United Way of McLean County visited with the Teen Club at the Boys & Girls Club. We asked young people there to use 5 words to describe how they see our community. 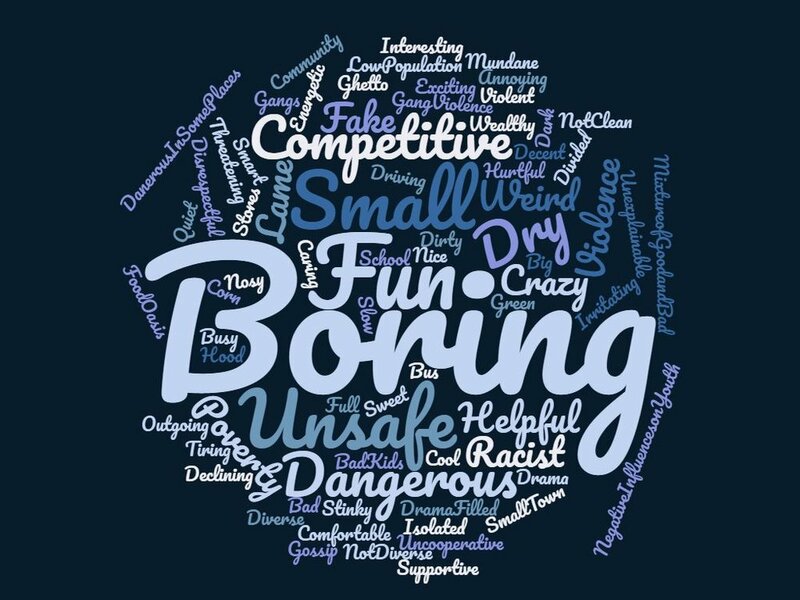 The word cloud above, represents their responses, with the bigger, bolder words being ones that came up more frequently. On August 18th, 2018, in partnership with Not in Our Town and with support from the City of Bloomington, the Town of Normal, and Advocate BroMenn Medical Center, United Way of McLean County held a Community Kick-Off to discuss issues affecting the young people in our community. We asked participants to use 5 words to describe how they see our community. The word cloud above, with the bigger, bolder words representing those that came up more frequently, shows their responses.